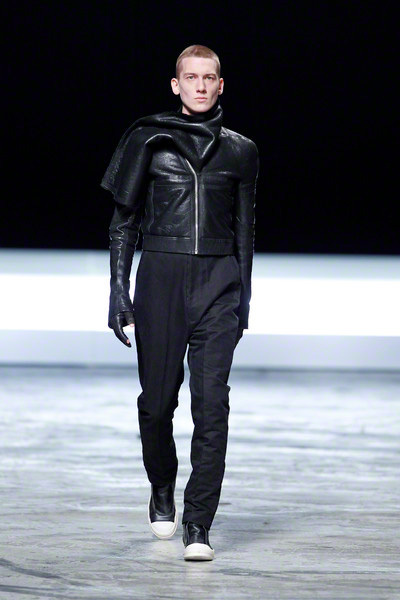 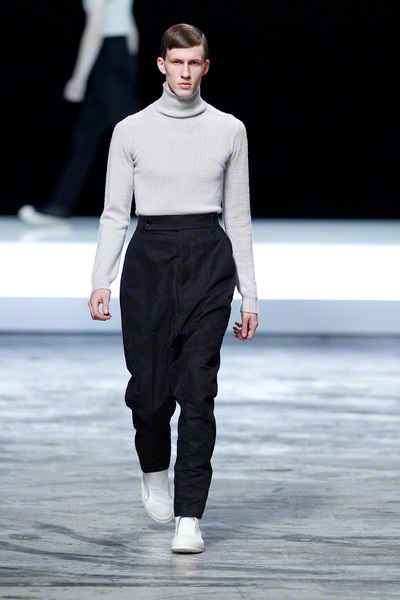 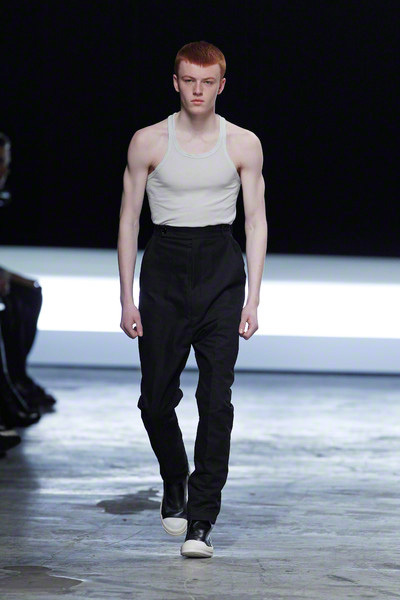 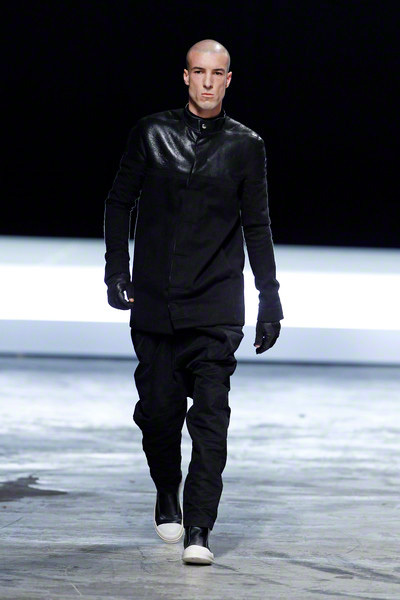 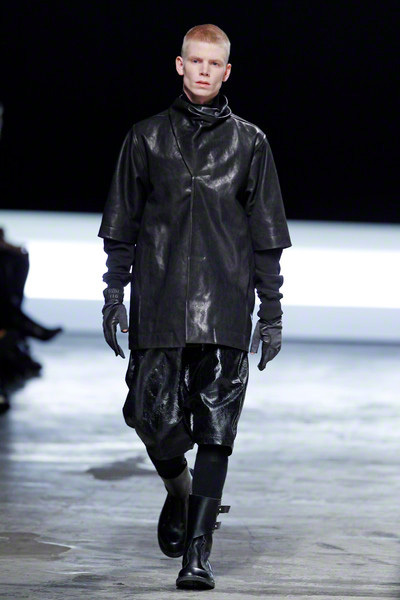 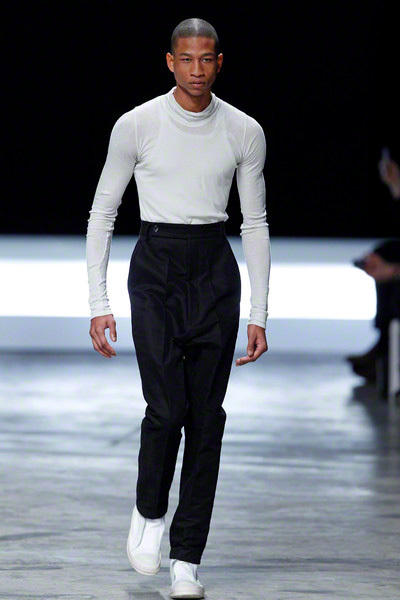 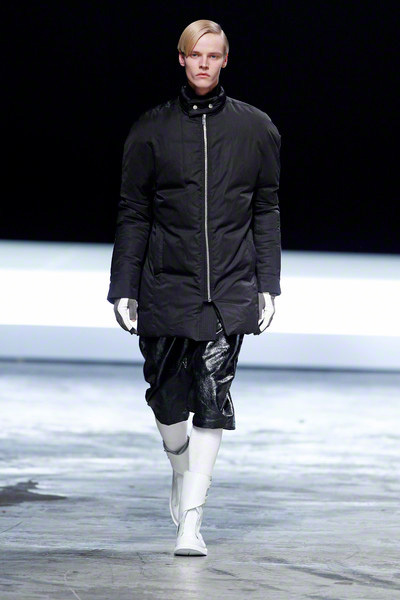 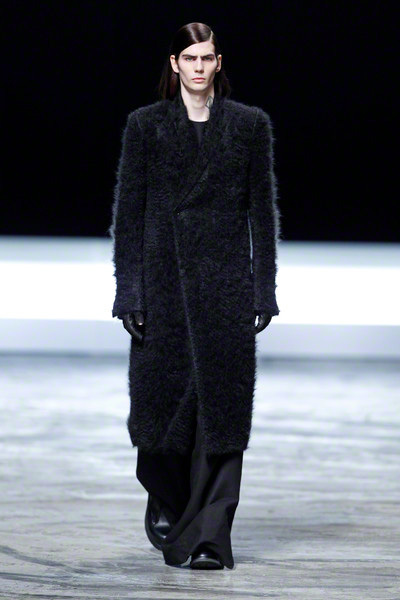 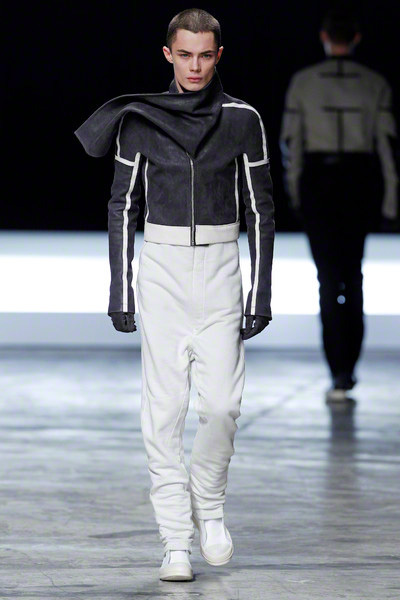 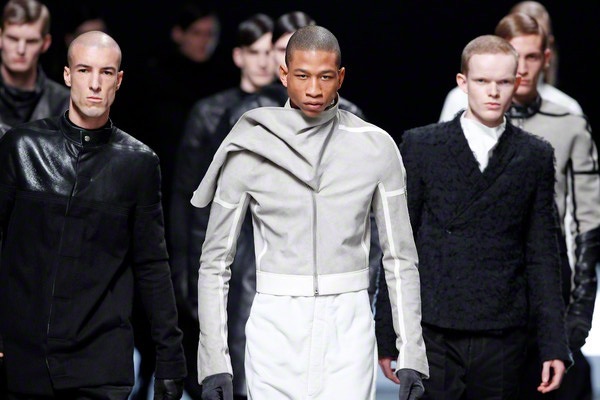 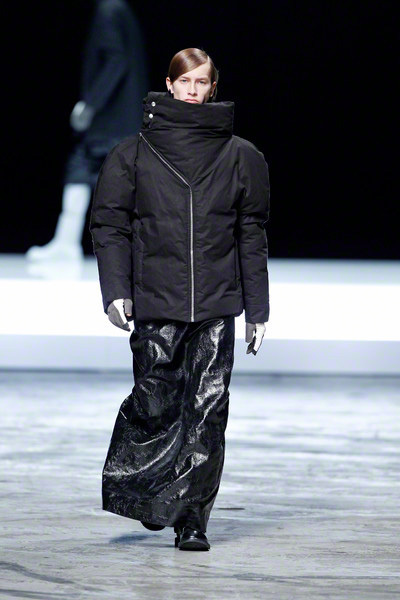 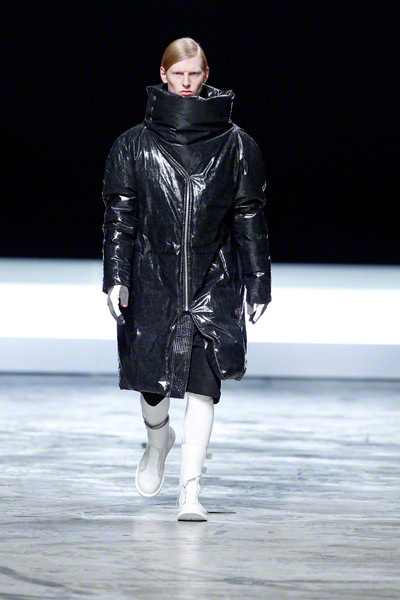 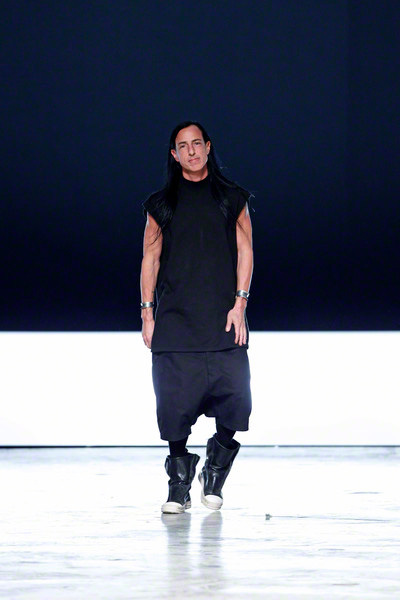 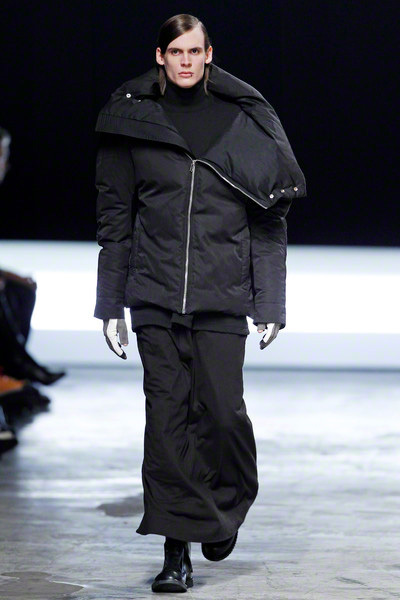 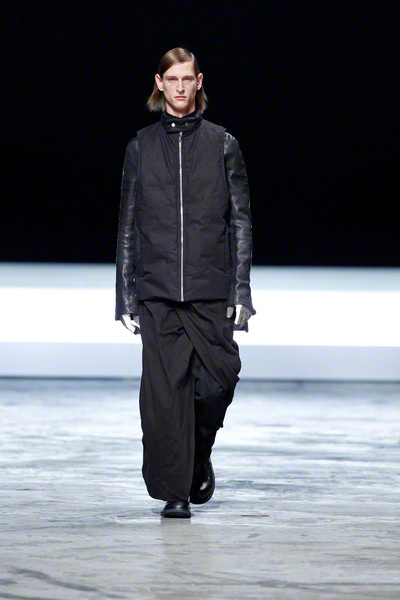 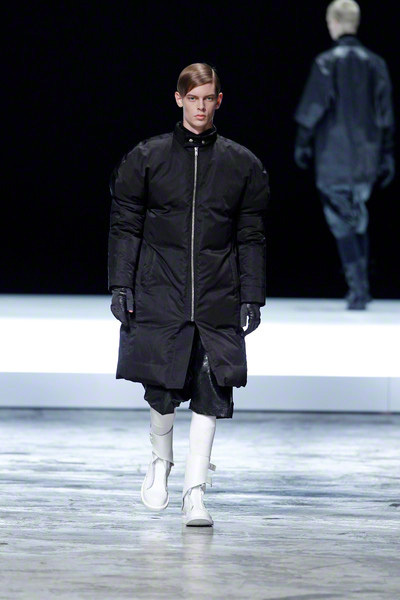 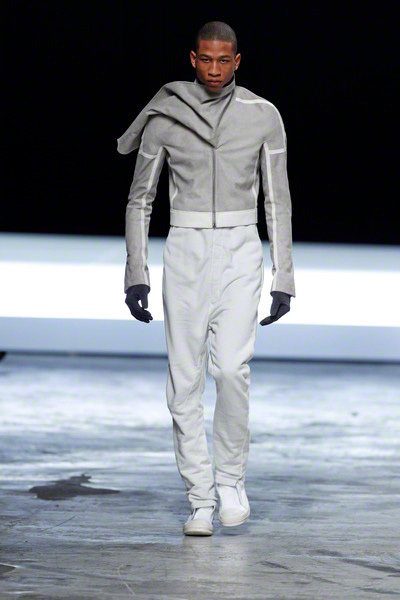 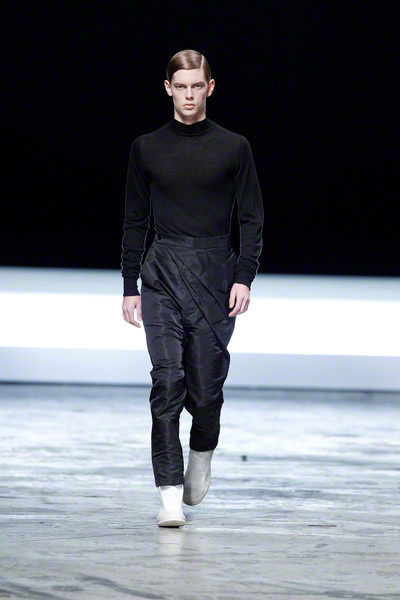 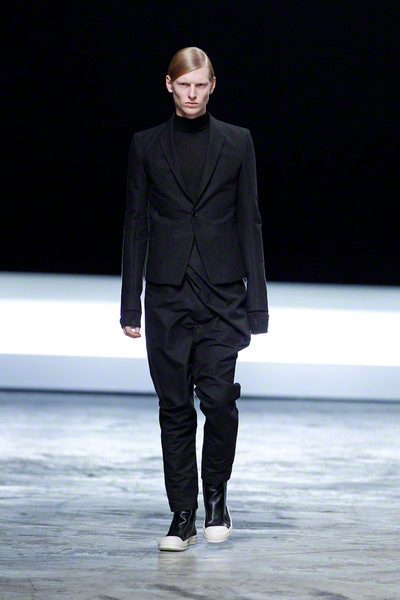 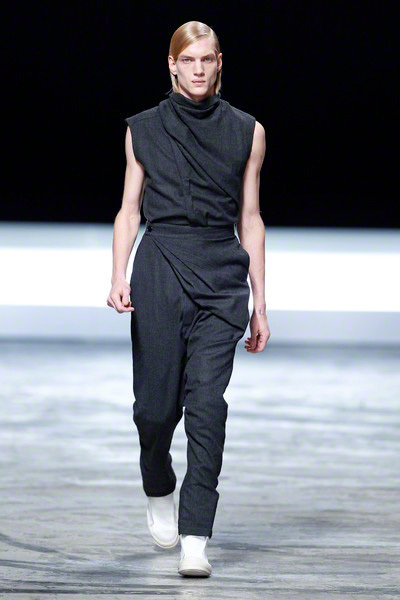 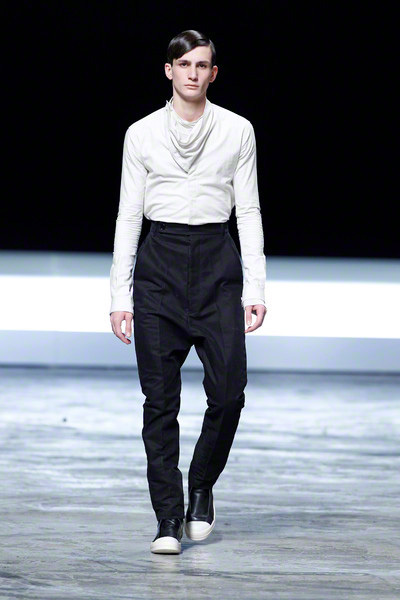 No darkness and monk-like dressing at Rick Owens for fall 2012. 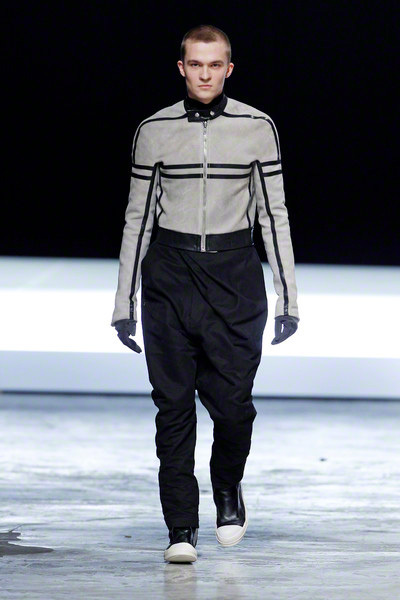 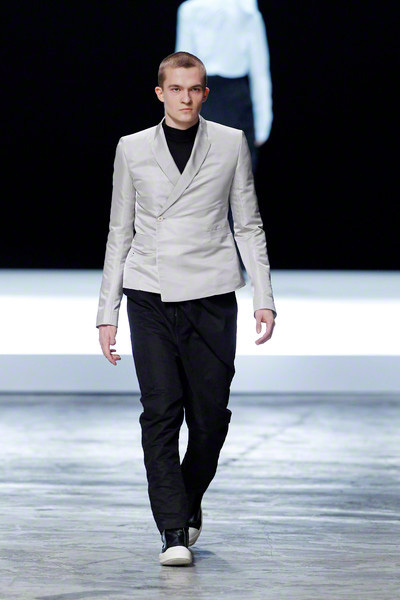 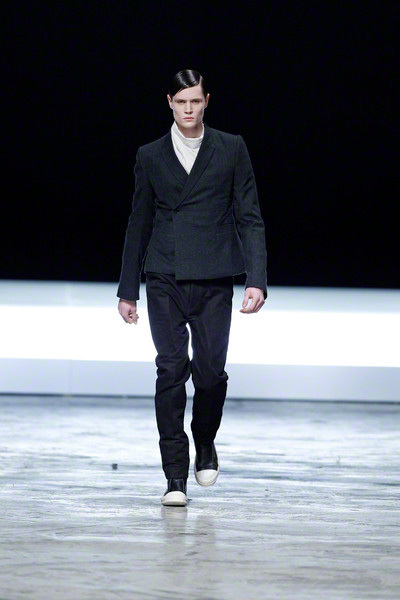 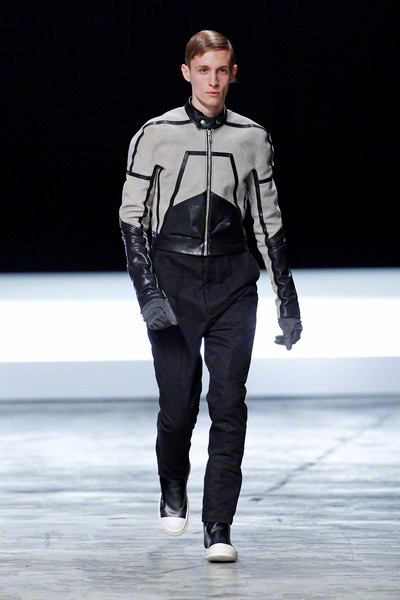 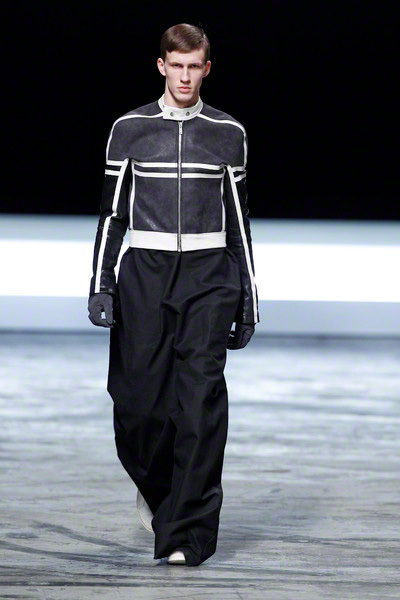 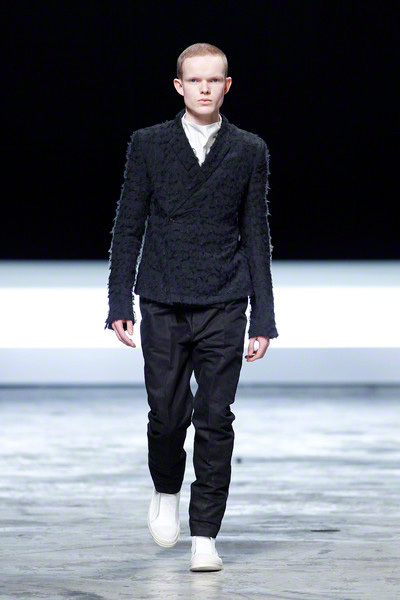 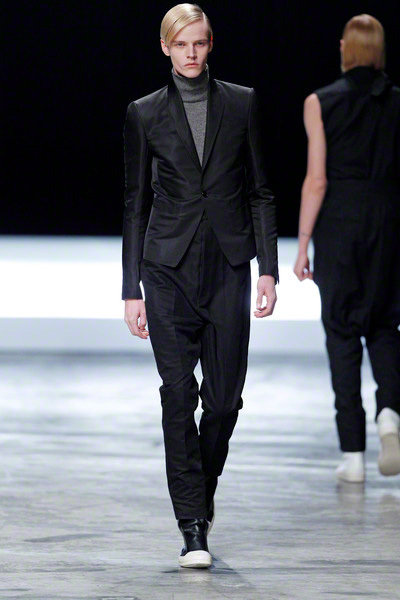 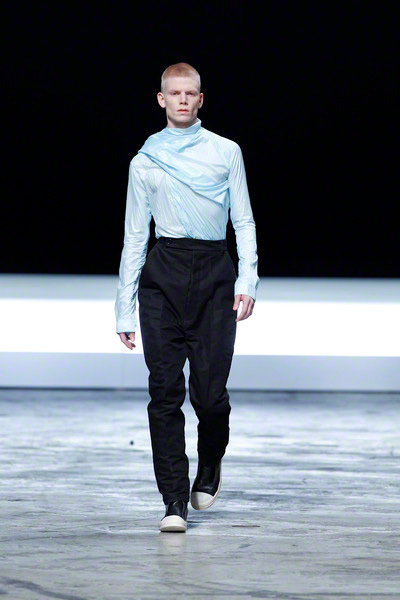 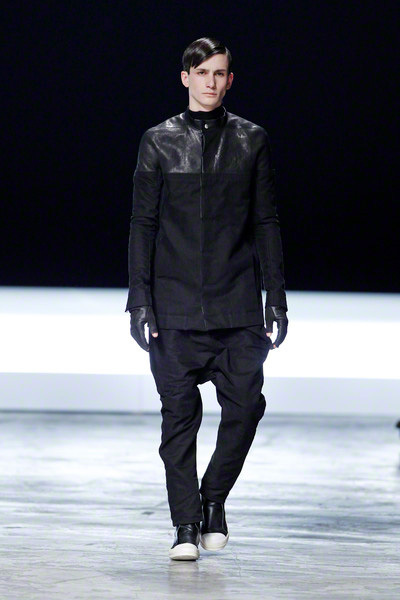 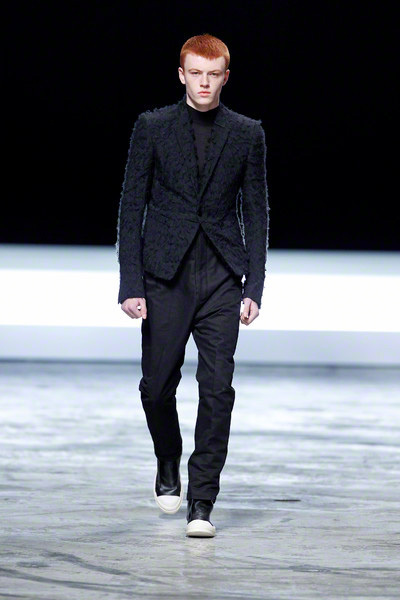 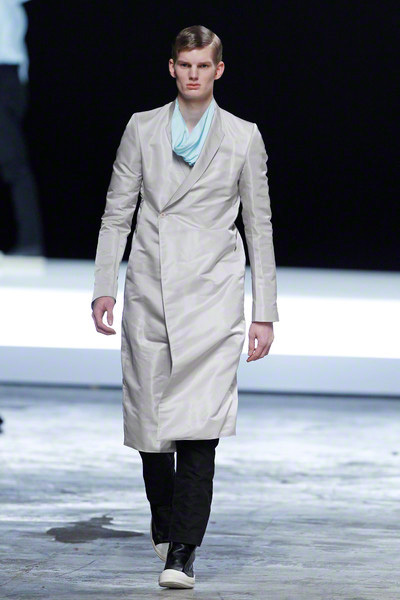 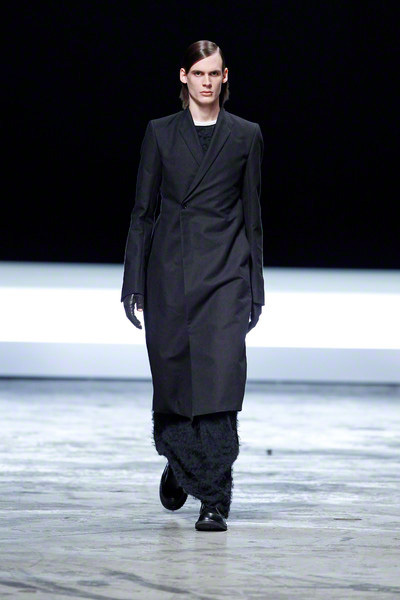 His collection looked quite sharp, also chic and masculine. 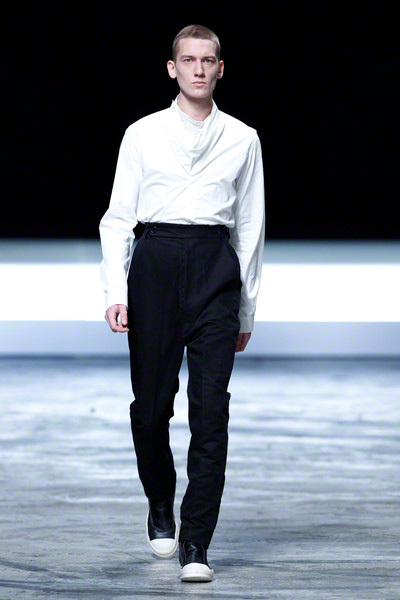 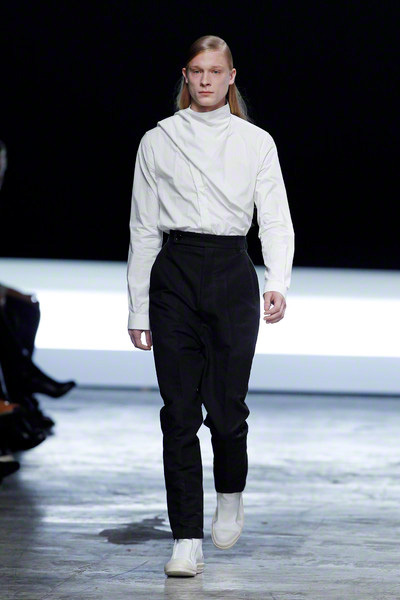 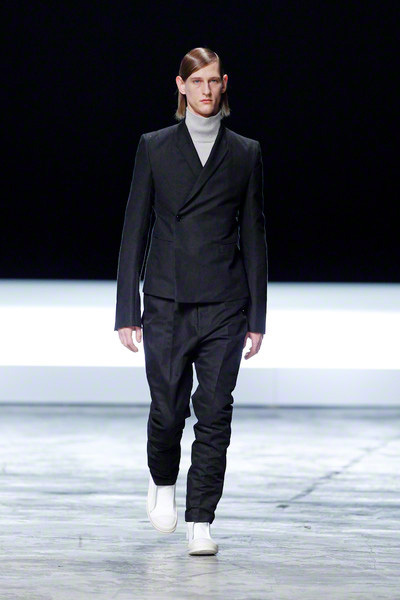 The signature look was a slim, dropcrotch pant in black with a white shirt or turtleneck. 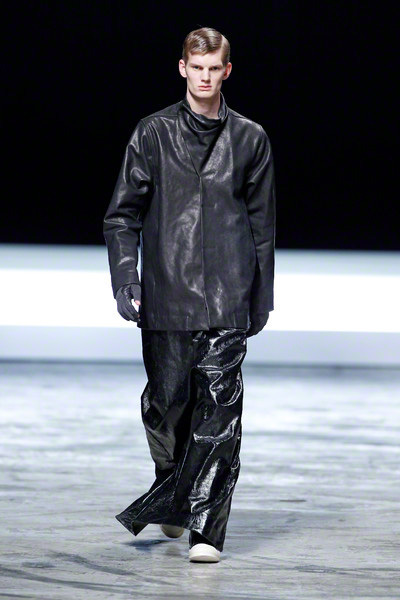 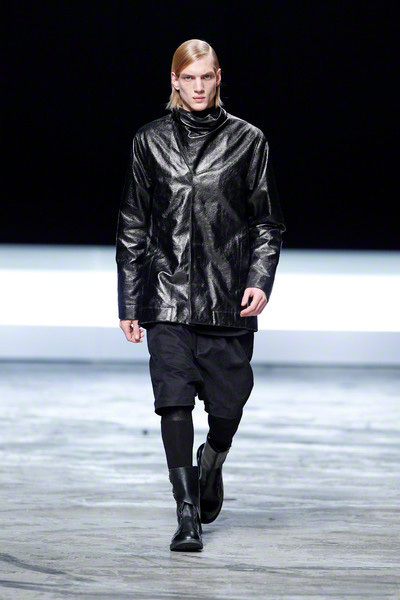 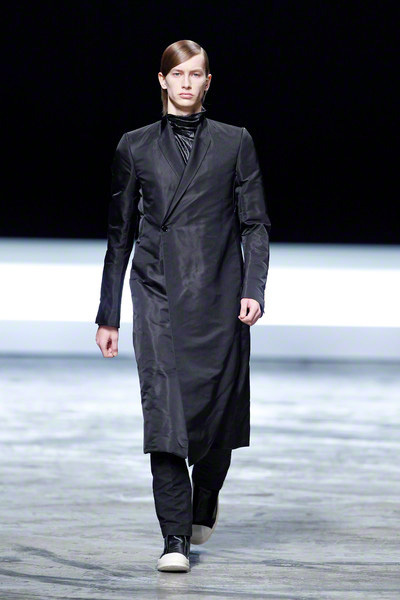 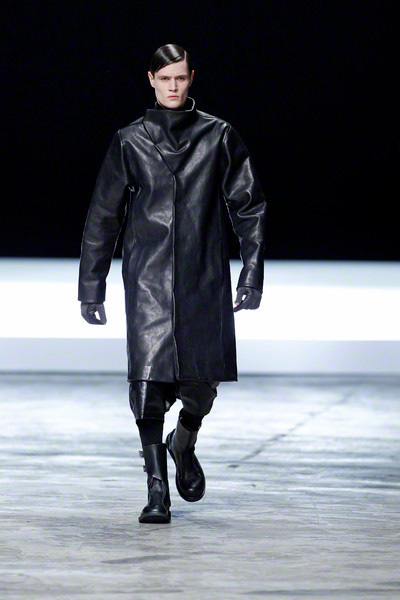 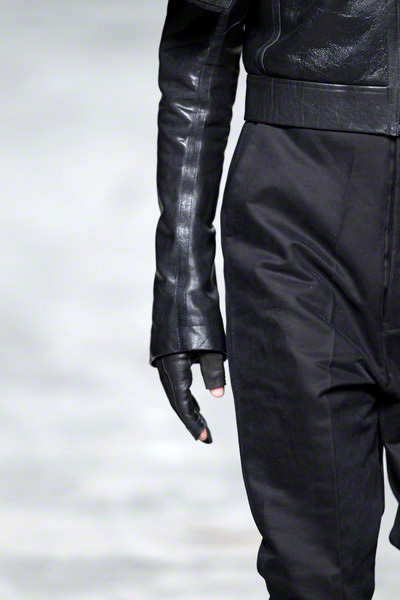 Of course there was some leather too, like his signature black jacket, but that even had a sartorial cut.